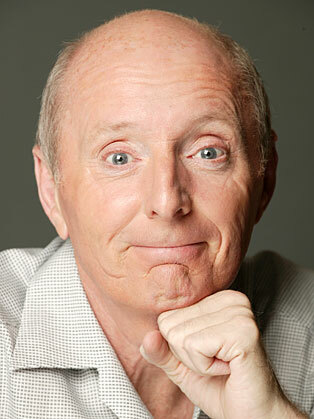 Jasper Carrott is an English comedian, actor and television presenter. Jasper Carrott graduated from the 1970s club circuit to become one of the most prolific television performers, writers and producers of the following three decades. Born Robert Norman Davis, he began his performing career in 1969, singing and acting as MC at Solihull folk club The Boggery, which he also co-managed. However, his comic banter with the audience led to a burgeoning reputation as a comedian, and he subsequently toured extensively, self-financing the recording of a live album, 'Jasper Carrott - In the Club'. An extracted monologue parodying children's show Magic was used as the B-side for a pop single, 'Funky Moped', which reached number 5 in the UK charts in 1975. Carrott later admitted that the single's success was due more to the popularity of the racy flipside than any musical merit on the lead track. Following further successful albums he made his television debut on LWT in An Audience with Jasper Carrott, before moving to the BBC for Carrott's Lib (BBC, 1982-83), a live Saturday night satire show. Following in the observational, 'man-on-a-stool' footsteps of Dave Allen, he provided links for sketches performed by a roster of actors including Christopher Barrie and Jan Ravens, blending topical material with surreal anecdotes. One sequence began with the audience in gales of hysterical laughter as Carrott announced: "And that's the best joke I know!" Carrott Confidential (BBC, 1987-89) followed in a similar vein, this time with sketches by double act Steve Punt and Hugh Dennis, while the Christmas special Carrott's Commercial Breakdown, which presented bizarre television advertisements from around the world, later became a long-running format for various comics. For Canned Carrott he also appeared in most of the sketches, one of which spawned The Detectives, a spoof police drama which partnered him with long-time friend and Jesus of Nazareth, star Robert Powell. In addition to his continuing stand-up career he appeared as Ko-Ko in a D'Oyly Carte production of 'The Mikado' in 2002, while television appearances included sitcom All About Me and a new role as presenter of the quiz Golden Balls. He was awarded an OBE in 2003 for his extensive charity work, and received an honorary doctorate from the University of Birmingham in 2004.